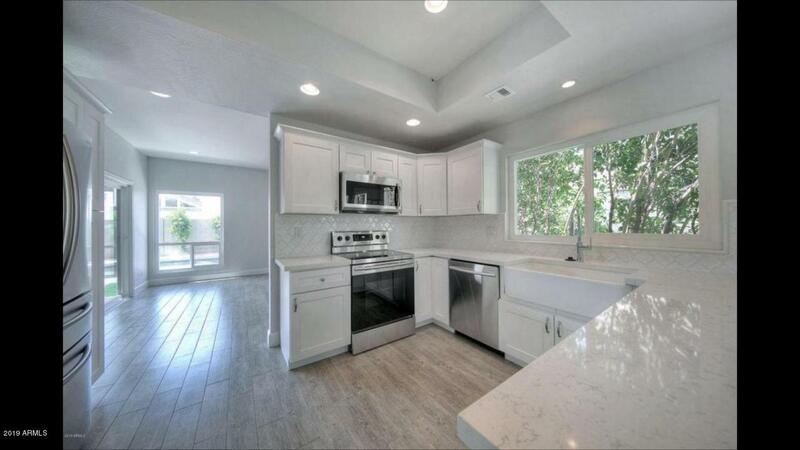 Complete beautiful remodel in 2016! All updated with today's colors and finishes. Pool resurfaced with pebble tec, new windows and doors, new roof, new cabinets throughout, farm house sink, quartz counter tops, carpet, interior and exterior paint, fireplace stone, baseboards, custom flooring throughout including marble baths, can lighting, all completed in 2016! High end Samsung appliance. Control the home's temperature remotely. So many upgrades, you have to see for yourself! 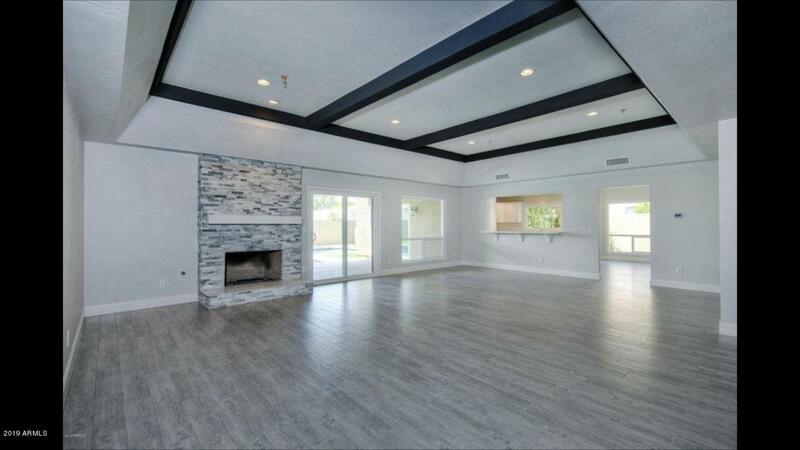 This is a great home for entertaining. 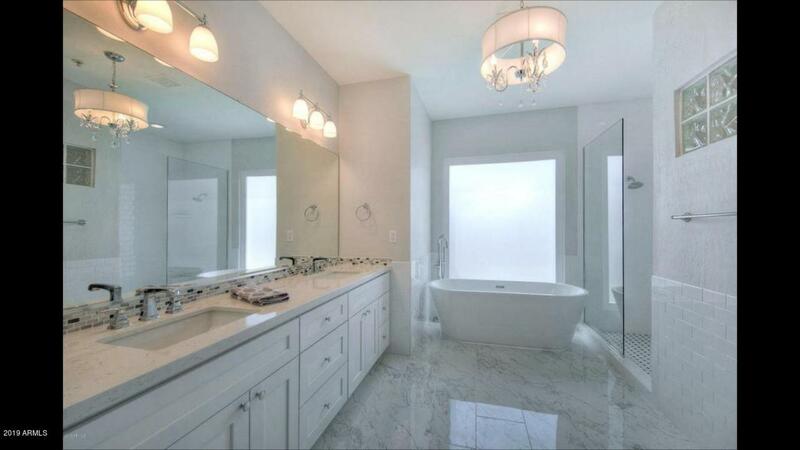 Every room in the home is oversized giving a very expansive feel. 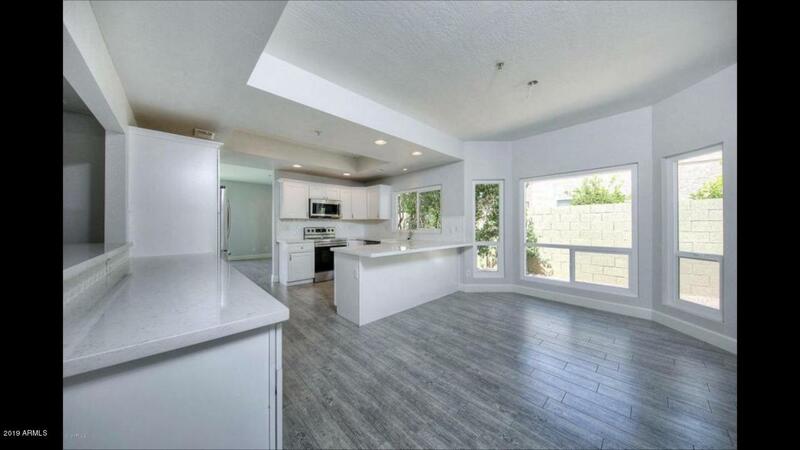 Great central Scottsdale location, close to restaurants, shopping and more. Walk to Shea Harkins 14 movie theatre. HOA includes front yard maintenance. SEE DOCUMENT TAB REGARDING LAND LEASE!